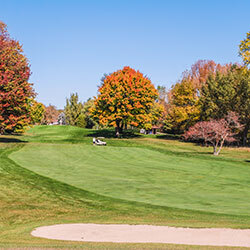 There is a lot of outdoor activity in Ogemaw County from biking, off roading, canoeing, golf and so much more and we are going to try to experience a lot of it on today’s show. We have collected information and web links related to the area and combined them here with video clips from the show and photo galleries that we took in what we hope will be a helpful guide as you plan your trip. Feel free to select only one or two activities per day according to your family’s interests. 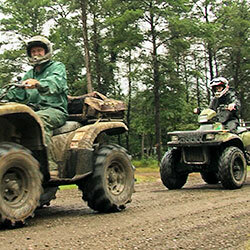 For assistance or for more information, call the West Branch Visitors Bureau @ (800) 755-9091 Have fun! 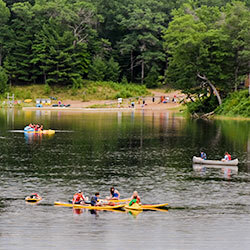 Beautifully situated on 300 acres of nature, YMCA Camp Timbers is celebrating its 50th year of specializing in summer overnight camps for youth. 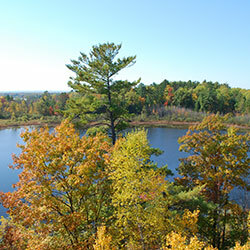 The wide variety of camp activities complement this natural beauty well – campers enjoy swimming in our private, spring-fed Piper Lake; experience adventure on our zip lines, climbing tower, and high ropes course; connect with nature while exploring our cedar bog, enjoying a horse ride, or hiking through a variety of diverse forest types. The Eagles Flight Zipline takes riders on an exhilarating ride- nearly 1,200 feet long, over the backwaters of Piper Lake. Experience the thrill of the 60 ft drop on one of the longest ziplines in the region. Only at YMCA Camp Timbers in West Branch, Michigan. 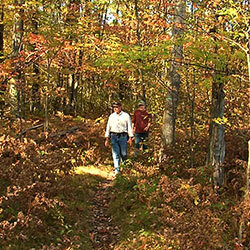 The Ogemaw Nature Park is in a secluded environment that's extremely peaceful and relaxing! Many families bring their lunch and spend the day with us. We are completely fenced in so the kids can run free. May through June is our fawning season. So bring your little ones to come see our little ones! During Fall, many hunters stop in to see our bucks in rut. They always put on a spectacular display pacing, snorting and rubbing. 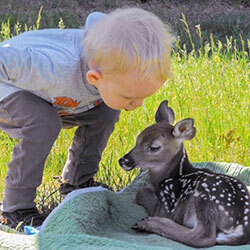 We are a "Free Admission" non-profit facility where you can hand feed a small herd of Whitetail Deer. We have bags of feed you can purchase for a small fee. This facility was established in the 1940's and has put smiles on children's faces ever since. If fishing is your favorite pastime, then this is the place for you! 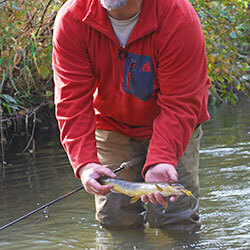 Ogemaw County is home to many terrific trout streams, panfish lakes. Department of Natural Resources (DNR) access sites to streams and lakes in the county are available at many locations throughout Ogemaw County. You will also find many bait shops and sporting good stores that have excellent information available. They will assist you in finding lake access sites. The county has many lakes that provide a wide variety of fishing experiences. Local fishing guide Mike Bachelder owns Bachelder Spool & Fly. Mike is a veteran guide with over 20 years in the business. He is THE GUIDE on the Rifle River, but also fishes the Au Sable above and below Mio as well as the South Branch, Alcona, Foote and Tawas Bay. Trout, Steelhead and Smallmouth are his specialties.